It's been a heck of a day for Paul Christoforo, whose flippant email to a customer asking about his Avenger controller order has made Christoforo a walking memetic punchline. But maybe we should cut Christoforo a break for his overly aggressive emails: he could just be feeling the effects of roid rage. We asked for official comment from "Brandon Leidel, Director of Marketing" using an email address with which we've previously corresponded in the past. (Brandon@AvengerController.com). Is Ocean Marketing a third-party agency for you guys or in-house? We got a quick reply from Brandon. 3rd party agency we were using to help us through the Holidays . I think things are a bit blown out of proportion on this today. "Tamox" is a common shorthand for Tamoxifen, an estrogen receptor antagonist used as "post-cycle recovery" compound for those coming off of a round of anabolic steroids. 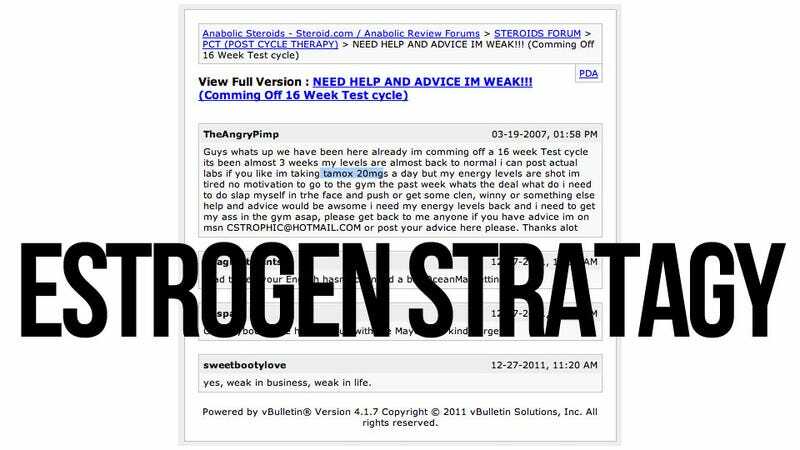 While we cannot confirm that "TheAngryPimp" is Mr. Christoforo, looking at other posts by the user yields a wealth of salient advice, including this especially trenchant gem given by "TheAngryPimp" to a forum newbie: "Your a real tough guy huh , relax with the roid rage lol,". Note: Earlier today, Christoforo ditched the "@oceanmarketting" Twitter account and started "@oceanstratagy" instead, leaving the former Twitter account available for the taking; it is now being promoted by a new person as a parody account that promotes indie video games. I have been following this story since this morning when someone notified me about what was going on. I did not write that response to you. Yes, in the past I received email at brandon@avengercontroller.com but even then we were an outsourced marketing agency for N-Control. I no longer receive email at that address because we fired N-Control as a client about 8 months ago due to constant shipping delays (which we had to deal with) and their association with Paul Cristoforo who is a street thug masquerading as a self proclaimed "Marketing Professional". This guy is a complete fool and somehow strong armed his way into working with the company so we walked away. I am not surprised in the slightest bit by what's going on right now. In fact, we told the owners of the company on many occasions that this would eventually happen. I wasn't going to chime in but since he is replying as me, I can't resist. I personally can't stand him.